This paper is a discussion of an NSTAR Electric & Gas Corp. project using current Ethernet technology to build a Local Area Network (LAN) in a single substation application. 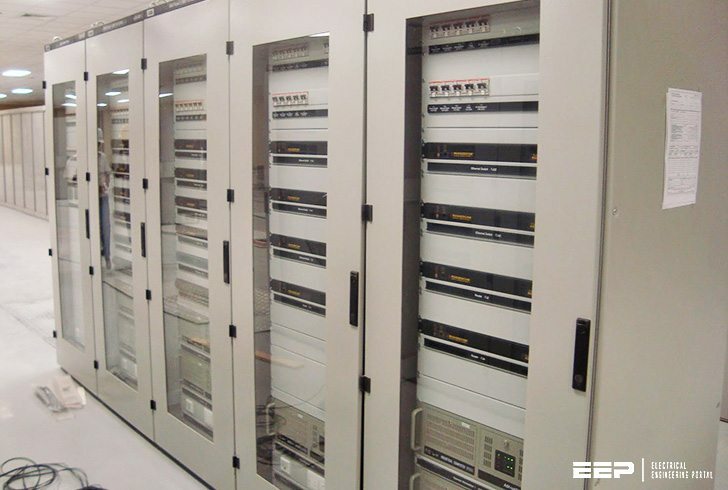 NSTAR’s Substation 385D is built around a local Ethernet backbone that passes information for Supervisory Control and Data Acquisition (SCADA) and local monitoring and control via a Human-Machine Interface (HMI). 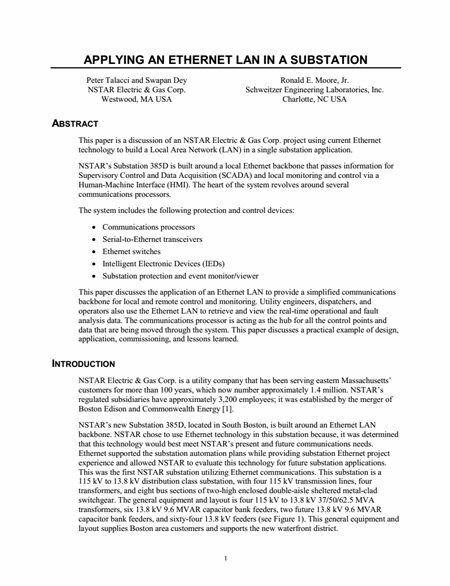 This paper discusses the application of an Ethernet LAN to provide a simplified communications backbone for local and remote control and monitoring. Utility engineers, dispatchers, and operators also use the Ethernet LAN to retrieve and view the real-time operational and fault analysis data. The communications processor is acting as the hub for all the control points and data that are being moved through the system. This paper discusses a practical example of design, application, commissioning, and lessons learned. Title: Applying an Ethernet LAN in a Substation – Peter Talacci and Swapan Dey, Ronald E. Moore, Jr.